Cryoablation catheters are used to restore the normal electrical conduction by freezing tissues or heart pathways that interfere with normal distribution of heart’s electrical impulses. The temperature used in cryoablation process is as low as -75 oC to freeze the cells that conduct arrhythmias. Increase in prevalence of cardiac arrhythmias due to change in lifestyles, innovation of newer cryoablation catheters devices, high success rate of catheter-based ablation procedures (according to American Heart Association, approximately 90% of catheter ablation procedures are successful), and increase in the R&D expenditure by the medical device companies are anticipated to fuel the cryoablation catheters devices market over the forecast period. However, high cost of devices and lack of skilled professionals to perform the procedures may restrain the growth of cryoablation catheters market. Geographically, global cryoablation catheters market segmented into North America, Europe, Asia Pacific, Latin America, and Middle East and Africa regions. North America cryoablation catheters market accounted for significant share owing to increase in the prevalence of cardiac arrhythmias, increase in the R&D for the development of newer products, and rise in healthcare expenditure. Europe cryoablation catheters market expected to grow at lucrative rate due to CE mark approval and product launchings in the Europe market, well-developed healthcare infrastructure, and presence of skilled professionals are also expected to propel the market. Asia Pacific cryoablation catheters market growth driven by favorable patient pool and adoption of novel devices for cardiac procedures. Latin America cryoablation catheters market is poised to grow at significant rate due to economic growth, rise in prevalence of arrhythmias in Brazil and Argentina, rise in awareness about the cardiovascular diseases. 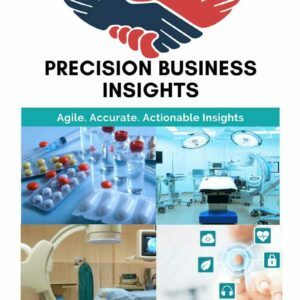 Middle East and Africa cryoablation catheters market growth attributed to entry of companies into Africa region and increase in health awareness about novel devices for various cardiac procedures among healthcare professionals.